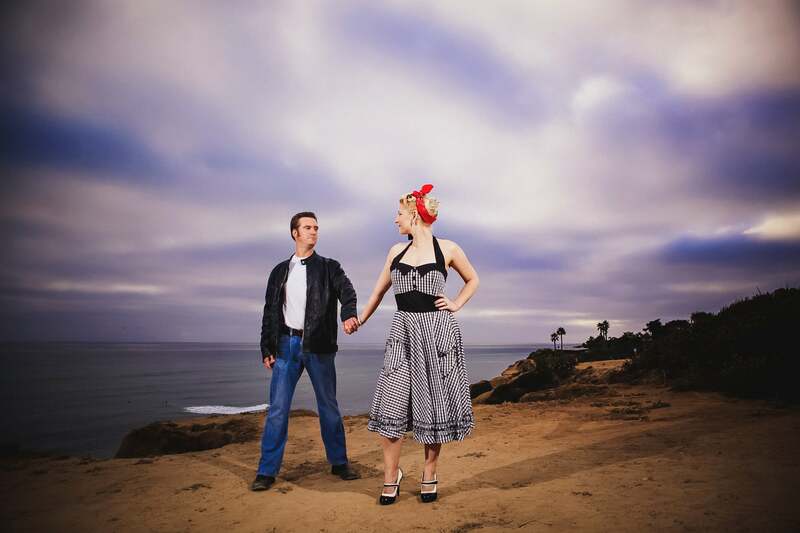 Knowing where to have your engagement session in San Diego can be a tough choice. 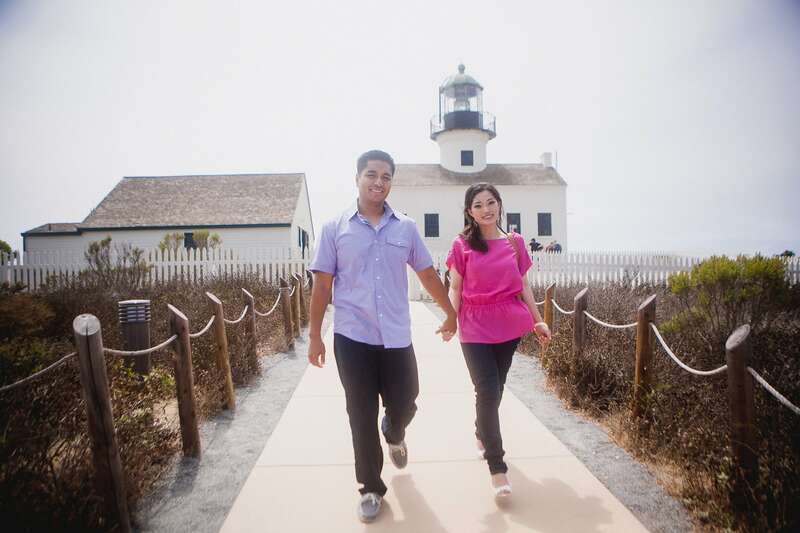 This is mostly due to the fact that there are countless stunning places to take engagement photos in San Diego! :) If you want beach photos, which of our numerous beaches did you have in mind? If you want an urban setting, are you thinking Gaslamp, Little Italy, or Liberty Station? Looking for something iconic? You’ve got several choices! From the sunny beaches to the rustic trails to the urban vibes downtown, San Diego has a lot to offer when it comes to killer engagement locations. With so many awesome locations, I wanted to share 31 of the best spots to take photos in San Diego for engagements. 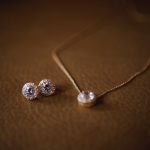 Read on to see my list of top recommendations! From Spanish Colonial architecture to colorful buildings to flower-filled gardens, there are a variety of spots to take photos here. If you’re looking for a place that is iconic to San Diego, this is a great location to consider. During the winter, it’s all decked out for the holidays, and in the spring, there are beautiful flowers everywhere! When it comes to diversity and close proximity to tons of other great locations on this list, Balboa Park is considered one of the best places to photograph in San Diego. 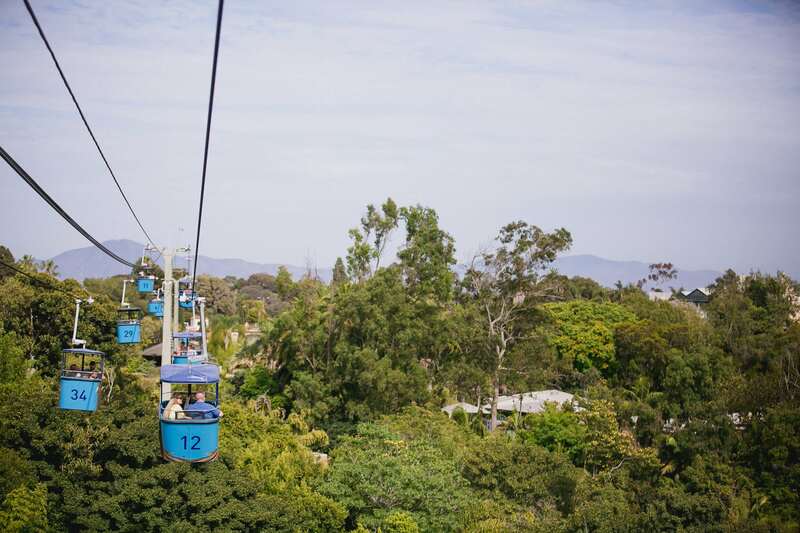 Located right next to Balboa Park is the zoo, and if you want to add more variety to your engagement shoot, consider doing both the zoo and park for your shoot! If you’re an animal lover, our world famous zoo won’t disappoint. What I also love about it is there are a bunch of hidden areas that make for beautiful photos! Doing a Santa Fe Depot engagement shoot may not be the most common of locations, but if you’re looking for those vintage vibes, this is an ideal spot. Plus, we’ll be in downtown San Diego, so we can hop on a couple of Birds and scooter around town to other close locations! As a sidenote, I’m currently obsessed with Birding around downtown! 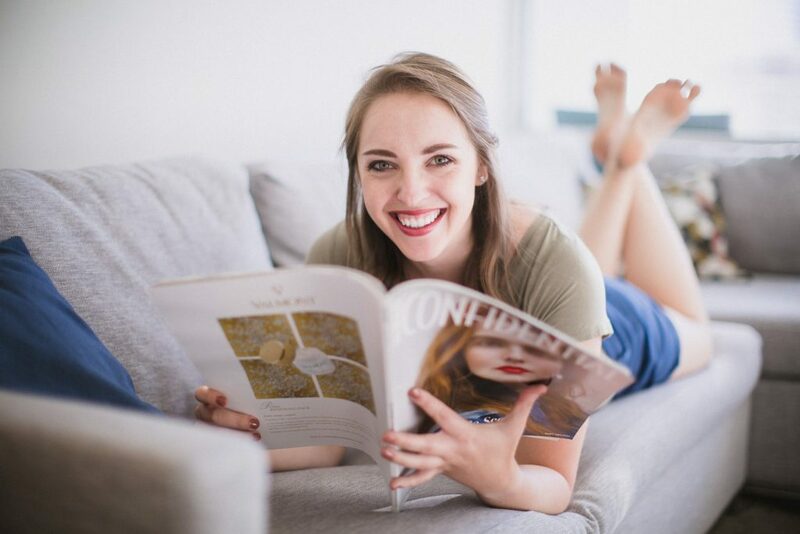 So, if you haven’t tried it yet and are looking for a fun little adventure, let’s add this to your session! I had heard about this spot for years, and I finally headed down to this historical landmark last year to experience it for myself! This hanging bridge was built in 1912, and if you have a fear of heights (and slightly questionable bridges) this may not be the best photo location for you. Below the suspension bridge, there’s a valley that also works for photos! When it comes to photo spots in La Jolla, there are tons of options. One of the more iconic spots is the cove. You can take the stairs right down to the water, walk through some of the cave arches, and have La Jolla Shores as your backdrop. If you’re down to potentially get a little wet from the ocean in your shoot, this spot can be magical! This location is typically less crowded than the cove, which I’m a major fan of. Also, there are rocks you can stand on with the waves crashing behind you, and this looks amazing during sunset! Another La Jolla favorite for me is UCSD! If you’re not familiar with the campus, there are SO many various locations to photograph here. 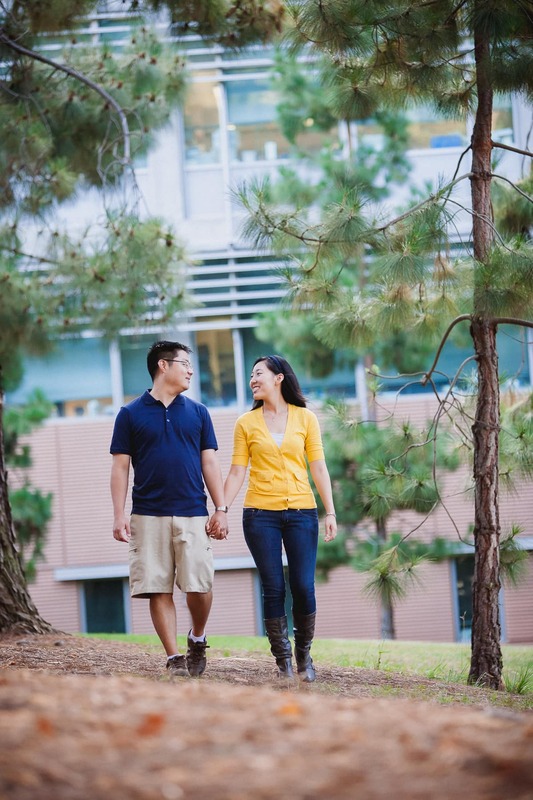 There are several different architectural styles and nature spots throughout the campus, giving us a lot to work with. And if you’re a UCSD alum, this location can hold even more significance to you! If we started your shoot at UCSD and you wanted to include the beach in your shoot, consider going down to Scripps Pier for sunset. While we can’t physically go on the pier, we can shoot below it and on the beach. I personally love going slightly north of the pier and including some of the massive cliff walls in part of the photos as well! With numerous rustic trails to wander on, we can start by taking photos at the top of the coastline and end down by the water (as long as you’re up for a little hike!). On a clear day, this location probably has one of the prettiest views of La Jolla! 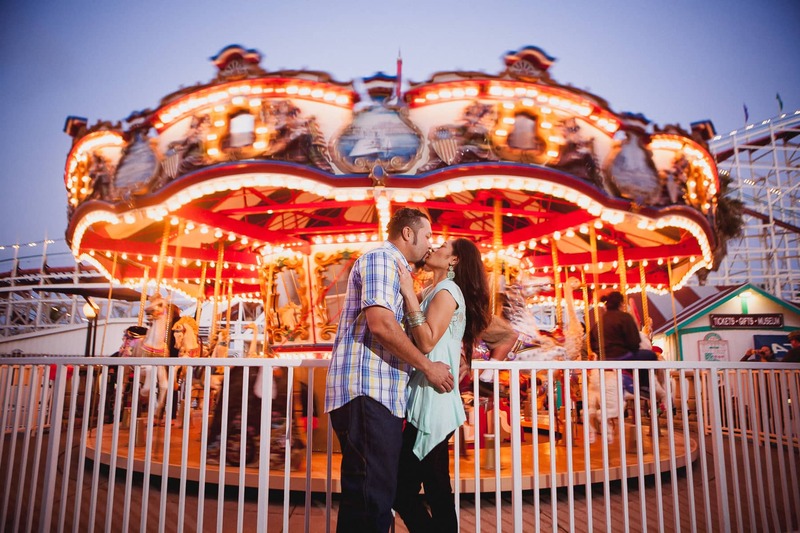 If you’re looking to add a fun twist to your engagement shoot, Belmont Park is a perfect place to go! From the coaster to the carousel to carnival games, this colorful location is a great spot for some unique and playful photos. Just north of Belmont Park is Crystal Pier in Pacific Beach. This pier is unique for having little cottages actually on the pier that you can rent out! 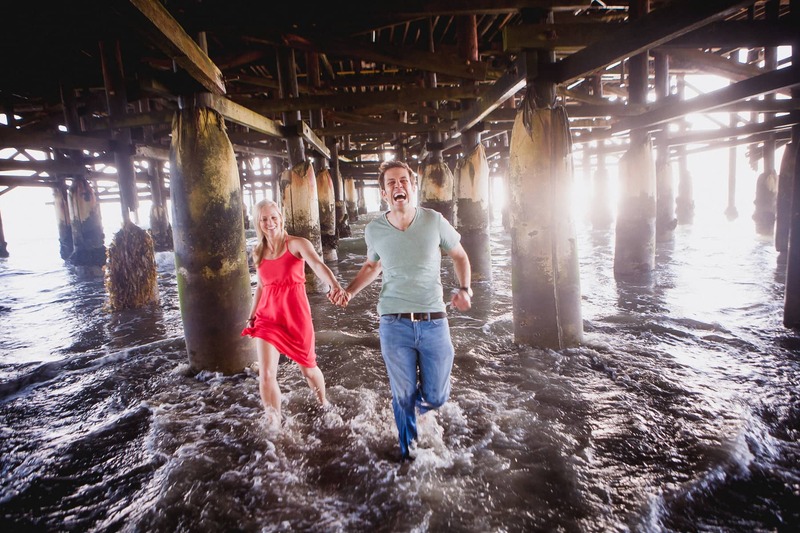 Take photos on top of the pier to get a beautiful view of the coastline in the background, or go underneath the pier for some fun and romantic photos with the waves crashing! Mt Soledad, which is well-known for having a cross at the top of it, is another location to venture to for engagement photos. When you’re at the top, you have a 360 degree view of the city (especially looking east and towards downtown). Mix it up a bit with this location by taking photos here at night! Located on the tip of Point Loma, Cabrillo is a breathtaking location with an old, charming lighthouse as one of its main features. You can take a short walk down to the tidepools as well, where there’s sand and some cliffs that work well for engagement photos! Liberty Station has really developed out in the last few years, though it still has some of its rustic vibes left in some areas. The yellow buildings and long arches that line the hallways provide a different look than the typical sandy beaches or urban downtown settings that you’ll see throughout most of San Diego. Spanning from Ocean Beach to Point Loma is Sunset Cliffs, which is a beautiful place for engagement photos. Between the expansive cliffs, the crashing waves, and the salty sea air, being on Sunset Cliffs makes you feel as if you’re taking photos at a remote location away from any sort of city. 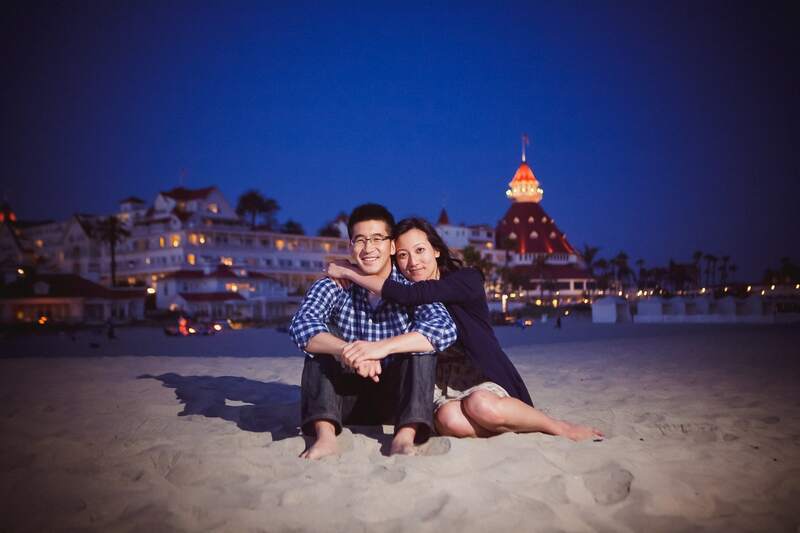 I could probably write an entire post on different engagement location spots just in Coronado! From Centennial Park to Hotel Del to the town, there are numerous unique spots to stop and take photos! If you’re going for iconic, this is the place to be. 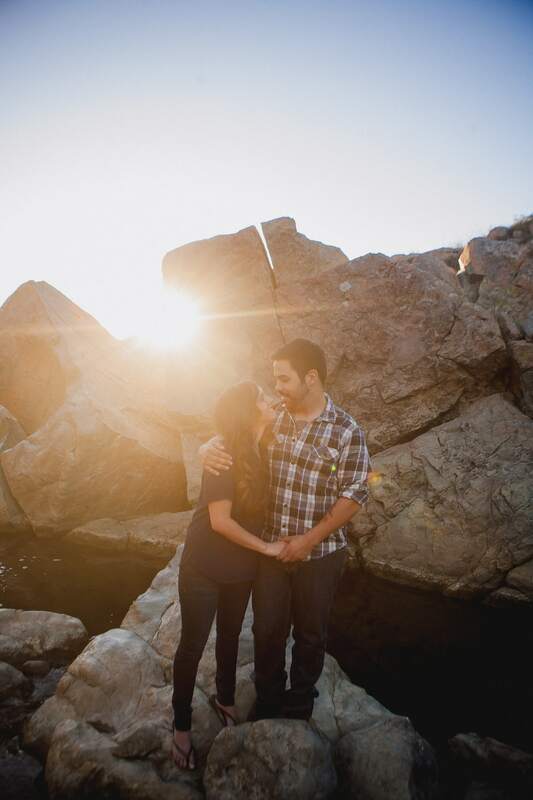 If you want a more naturesque feel to your engagement pictures, Marian Bear Park might be the place for you! It includes easy nature trails to walk on, trees all around, and it’s one of the only places that actually gets a little color throughout the year! 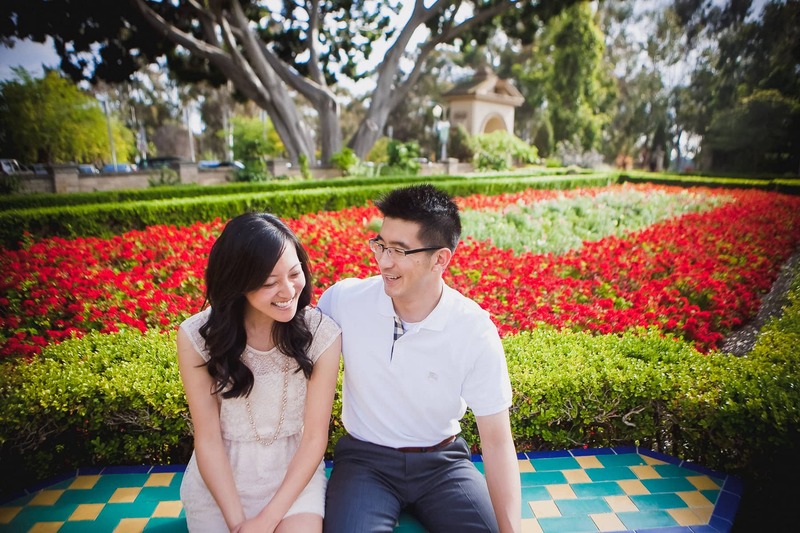 Tip: If you’re planning your engagement session for the fall and want some color changing leaves, Marian Bear Park is probably one of the best places to take pictures in San Diego! As an alternative to Marian Bear Park, Los Penasquitos is a bit more open-air with its walking trails. There are still plenty of walking paths that will lead you in and out of the trees though, if you want a more “foresty” look to your photos! Plus, this is probably one of the few places in San Diego you have a chance of seeing a waterfall! Seeing that I spent my college years here, I’m partial to this location! Similar to the Spanish architecture that can be found at Balboa Park or Presidio Park, USD is an absolutely gorgeous campus. Between the fountains, flower gardens, and iconic Immaculata building, I’m in awe every time I step on campus. Just a few minutes away from USD is Presidio Park which has some great views of San Diego. There’s a good mix of Spanish architecture, tall trees, and secluded areas that all make for great backgrounds. The park is mostly located on a hill, so be prepared to do some walking! Old Town is known for its historic buildings, colorful heritage, and of course, Taco Tuesdays! It’s a fun place for engagements because the streets are filled with vibrant colors and textures that you don’t see elsewhere in the city. If you’re wanting engagement photos between March and May, the Flower Fields in Carlsbad are a colorful and vibrant option! Because the flowers are only in bloom for 6-8 weeks, crowds can tend to be pretty heavy, especially on weekends. Try to plan for a weekday shoot if you want to take photos here! 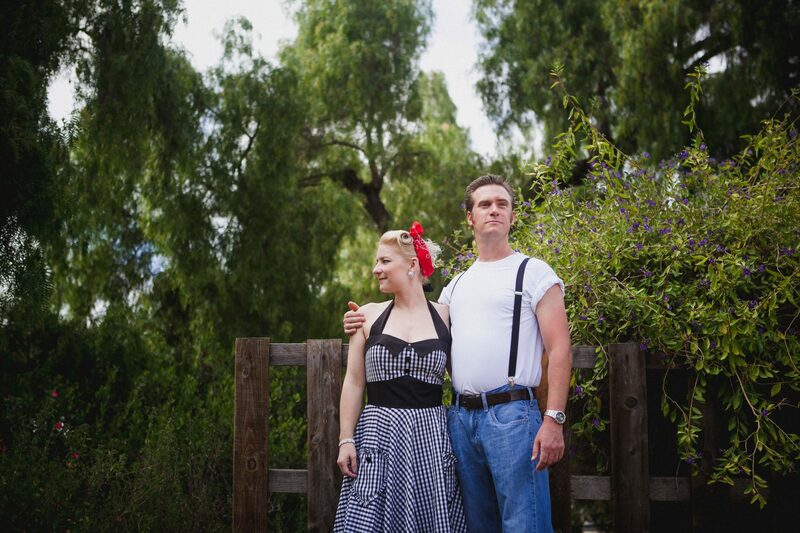 Located right next to the Gaslamp, Seaport Village is a super cute and quaint area that is a great spot for photos. You can walk through the village and into different shops, stop for some ice cream, and gaze out towards Coronado and the bridge. 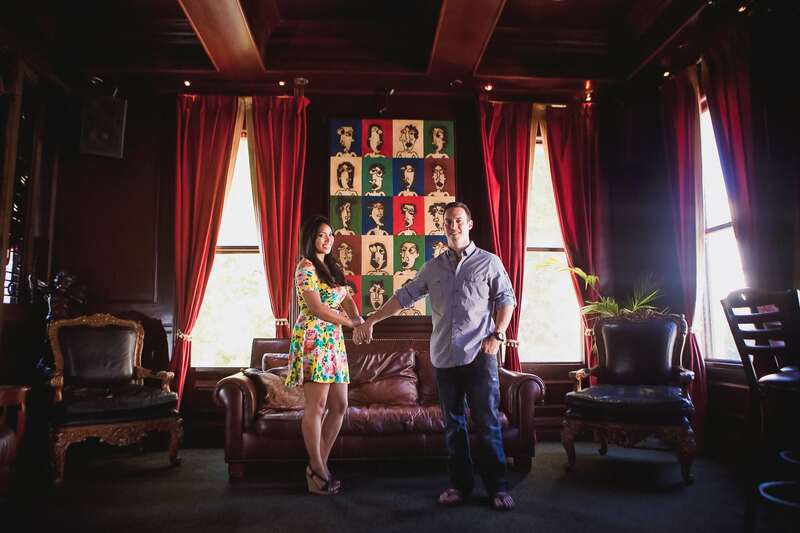 This urban location is an iconic spot for an engagement shoot in the heart of downtown San Diego. From swanky bars to graffiti art walls, there are tons of spots for awesome photos here – and don’t forget about the iconic Gaslamp District sign! 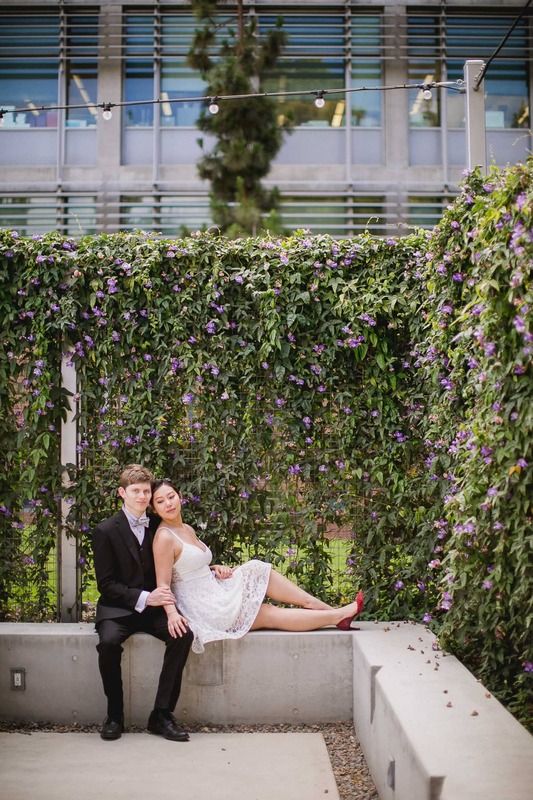 Plus, if you’re planning to wear a formal dress and stilettos during the engagement session, downtown is the place to be! Why stay on land when you can experience San Diego on the water?! 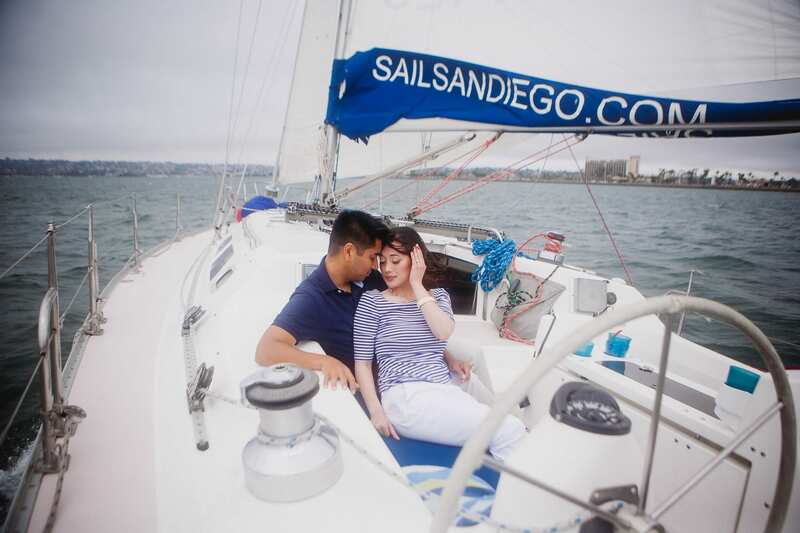 If you’re into boating or just like adventures, consider doing your engagement session on a sailboat, yacht, or even a larger boat like the Hornblower! One of my couples introduced me to this winery and I’ve fallen in love with it! Their vineyards are pretty wide, making it easy for couples to walk through together. And, the light hits part of the vines just perfectly during golden hour! Orfila also has a barrel room that they allow you to go into for photos, which adds to the overall look and feel of a winery engagement session! 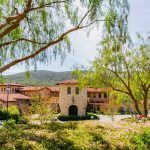 Located in my neck of the woods, Bernardo Winery includes old wooden buildings, cute shops, vineyards, and of course, wine to sip on! This place has a country feel to it, and when they turn on their market lights in the evening, it makes for a beautiful backdrop! Tall, yellow grass glistening during golden hour is what comes to mind when I think of Mission Trails. This place becomes magical as the sun begins to set and is perfect for a rustic-themed shoot. 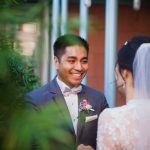 While the Del Mar Fair is not around all year, if you’re planning to take engagement photos in June, the fair is a way to get some different and fun photos! Plus, if you’re a fan of deep-fried everything, this is the spot for you! This one might be a little far out, but I felt like it was worth adding to the list (plus, I REALLY want to shoot here – hint, hint!). :) The drive is a few hours east of San Diego, but once you get there, it’s basically sand dunes for days. If you’re wanting to take engagement photos somewhere other than the standard SD locations, this might be a place to consider! In addition to the places I mentioned above, there are so many other great places to take pictures in San Diego. From the beach to the nature trails to the urban settings, San Diego offers quite the variety, making it hard to choose your favorite spot! 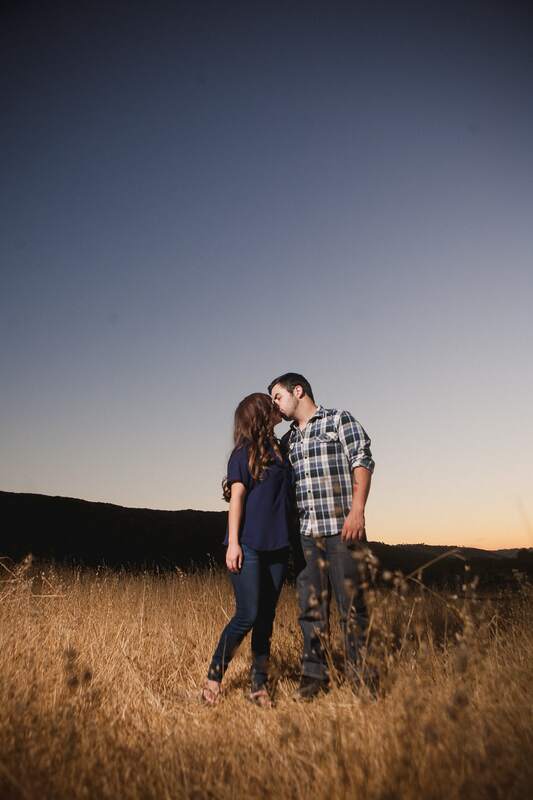 As part of your planning process as an engaged couple, take some time to determine where you might want to shoot!